It is also used as a method of removing unwanted hair on the entire face and upper lip area. 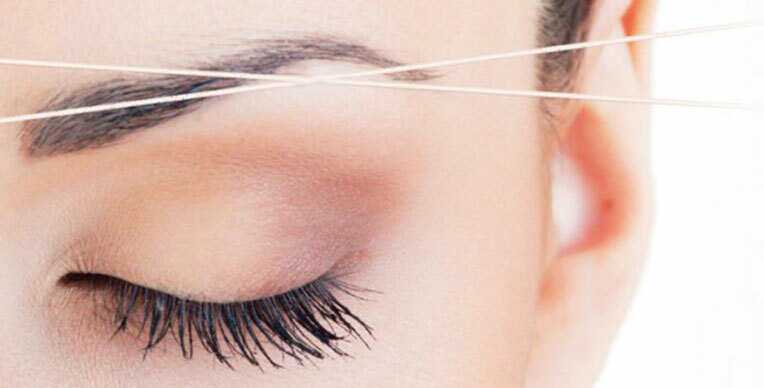 Threading is not a good method for removing hair on arms or legs, as the hair in those regions is typically quite coarse and there is too much to remove. It is unknown where threading originated first, Central Asia or India. According to one theory, the practice started in India over 6000 years ago and spread throughout Asia, the Middle East, and in recent times Europe. The Arabic word for threading is 'Khite'; in Egypt it is also called 'Fatlah'. Threading is also popular in China and other East Asian countries such as Korea and was only historically done on brides and married women.